A harsh screech and a flash of bright blue wing and tail feathers in rrest llight usually announce the presence of this bold and inquisitive bird. 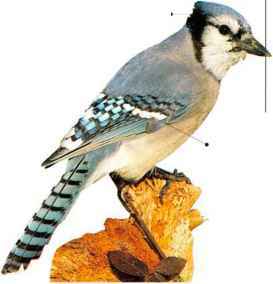 Originally inhabiting hroadleavcd woodland, the Blue Jay has now become common in farmland, towns, parks, and suburbs. It forages in vegetation and on the ground, taking nuts, seeds, berries, and other fruits, as well as insects and other small animals. It has a reputation as a nest robber. 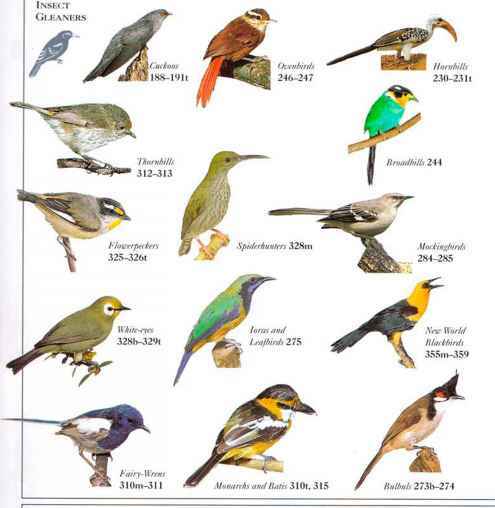 Although many individuals are migrants. 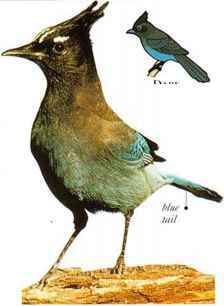 Blue Jays very often store- quantities of nuts by bury ing them in the ground or in crevices in trees. Migrating Blue-Jays often travel in flocks, but the birds are-more usually seen in pairs or family groups. • N list A cup nest made of twigs, grass, and stems, lined and placed in a tree or bush. K. and C. North America.